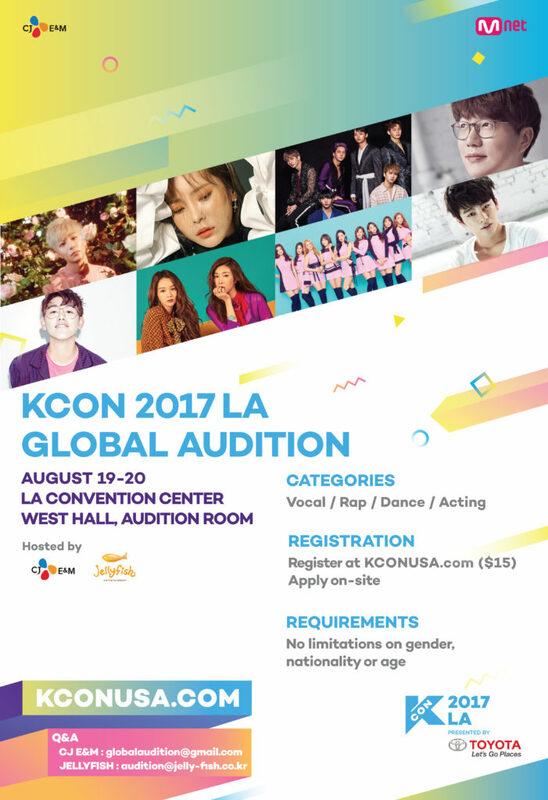 CJ E&M and Jellyfish Entertainment, one of the leading entertainment companies in South Korea, are to host a special audition for KCON fans in Los Angeles. Come to the KCON audition room and show off your talents to see if you got what it takes to be the next K-POP Icon. Visit the Stone Music Entertainment booth at KOCN 2017 LA and apply on-site! ※ Accepted applicants will have the chance to become a trainee under CJ E&M or Jellyfish Entertainment.